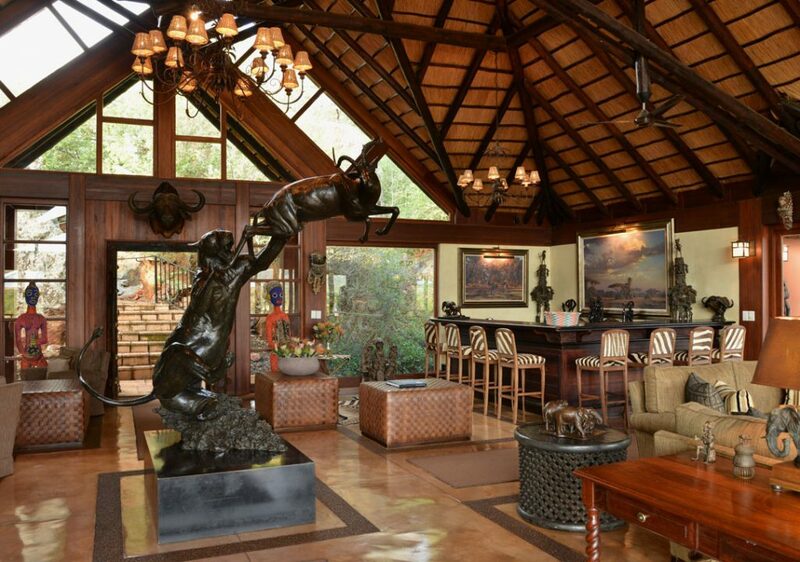 Mateya Safari Lodge caters for 10 guests and is designed for the discerning traveler. 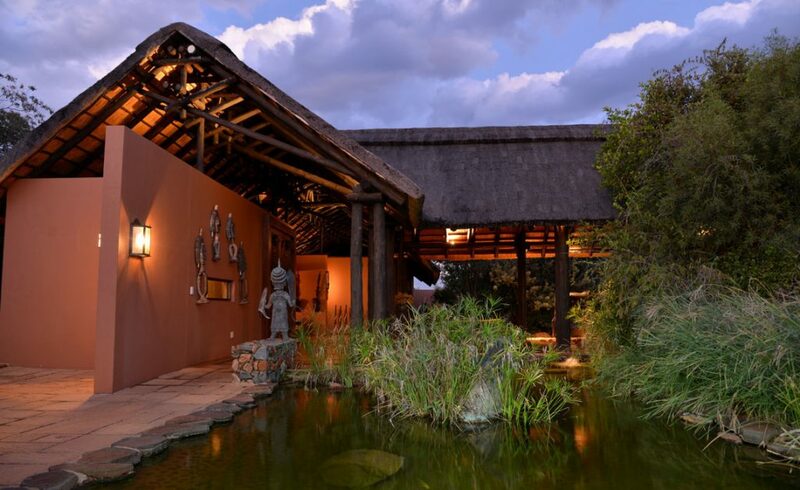 The lodge offers graceful fusion of relaxed comfort and beautiful setting, offering exclusivity and privacy. 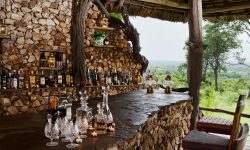 Mateya safari Lodge is set in the rocky outcrops of the Gabbro Hills with uninterrupted views of the Madikwe Game Reserve. 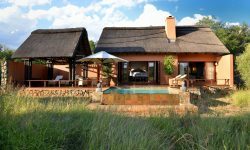 All the spacious suites are arranged around one of the hills, each suite consists of a private rim flow pool deck and a natural window sala which overlooks the waterhole. 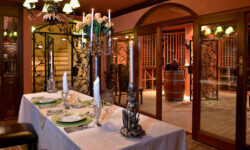 The Lodge has a wonderful wine cellar with a variety of fine wines, a well stocked library. The Lodge offers wonderful walking safaris with the professional trackers and guides followed by spectacular game drives where guests can also see the famous brown hyena. Meals are fine dining where each and every visit will leave you gasping for more. Game drives are maximum 4 passengers, kids are welcome from 9 years old. 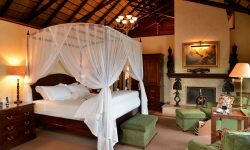 Perfect for Honeymoon safaris, couples safaris and families safaris.